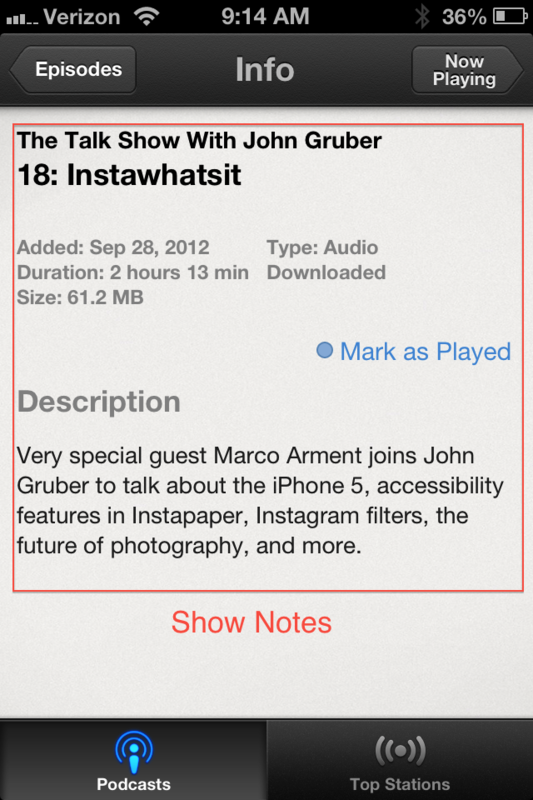 I can’t figure out how to view show notes in the iOS Podcasts app. Previously, I could just tap on the album art in the now playing screen, and it would display the show notes just like lyrics to song. But now, tapping the album art brings up a tape deck. Where from can I read the show notes? Not the answer you're looking for? 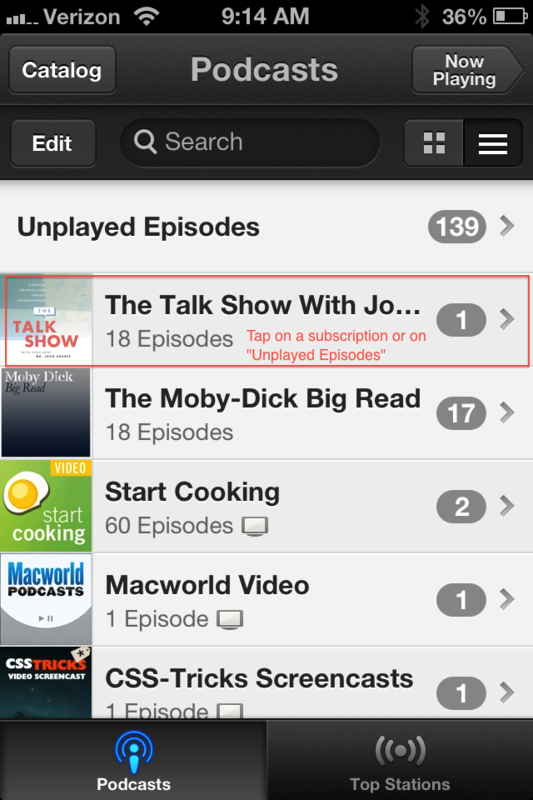 Browse other questions tagged podcasts ios podcasts.app . How do I tell the iOS Music app to regenerate its metadata? What happened to the star ratings in the Music app in iOS 9.3?